Marian trained in interior and textile design and has extensive experience in teaching both subjects; she has particular expertise in composition, hand-drawing, colour, theory and application. She leads the introductory units of both the Diploma and Certificate courses which build the core skills that underpin the design process. Marian is co-founder of The Colourhouse, an independent hand print textiles and wallpaper company specialising in sustainable products for the modern interior. 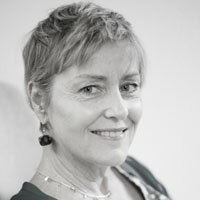 Marian is also Head of Textiles at Morley College.